Sydney, Australia duo Jagwar Ma first hit the radar in late 2011 and have made considerable noise leading through 2013 with their, Madchester-esque, guitar and beat saavy psych-pop. Hot on the heels of their Time and Space Dub Sessions EP, the band has recently released their debut full length Howlin (Mom+Pop/Marathon) to much critical acclaim. B3SCI correspondent Brian Litwin caught up with Jagwar Ma vocalist Gabriel Winterfield to ask him a few questions about the Australian music scene, dream collaborators, props from Manchester ‘chief’ Noel Gallagher and more. You can check out the interview below, and for those of you in Los Angeles, Jagwar Ma will be headlining a mustn’t miss set at The Echo on October 4th. Tix and info here. We’ll see you there! B3SCI: The name Jagwar Ma is definitely one that catches the eye. Is there a worthy story for it’s origin? Jagwar Ma: To be honest the story changes slightly every time I tell it. I guess that always happens with things you can’t really remember. But The name comes from the combination of a close friend’s suggestion, a found object and Jono’s (bandmate Juno Ma) surname which is a type of Stallion from the times of Gengis Khan. B3SCI: It’s refreshing to see such a well done music video as the one for “Man I Need” (watch it below). Is there any general idea or concept that you are conveying throughout the video? B3SCI: What does it feel like to have Noel Gallagher’s bode of confidence? Jagwar Ma: It’s a great honor to hear of Noel Gallagher’s digging of our music. Though we do worry that it might put pressure on us! I should also add that in that same quote I believe UK band Temples were also mentioned. B3SCI: Howlin’ is your recent 2013 album release and it could very well make it on to some top albums of 2013 lists. Where was it recorded, and going into the studio did you all have a general idea of how the album was going to come out… and how great it would be? Jagwar Ma: Haha well I love your confidence in some of those calls, very kind indeed. I wouldn’t say that we knew how ‘great’ it would be, but I do know that Jono and I certainly had feelings and vibes that we wanted to evoke through our music. We recorded some in Sydney at Jono’s studio and even some parts in my bedroom style studio. We did some other stuff at a friends farm house in France, and then other parts we went to Berlin to work. B3SCI: I hear all the late 80’s/early 90’s Madchester sounds on this album, but there is a lot more going on here. What are some of your influences that have helped you carve out your sound? 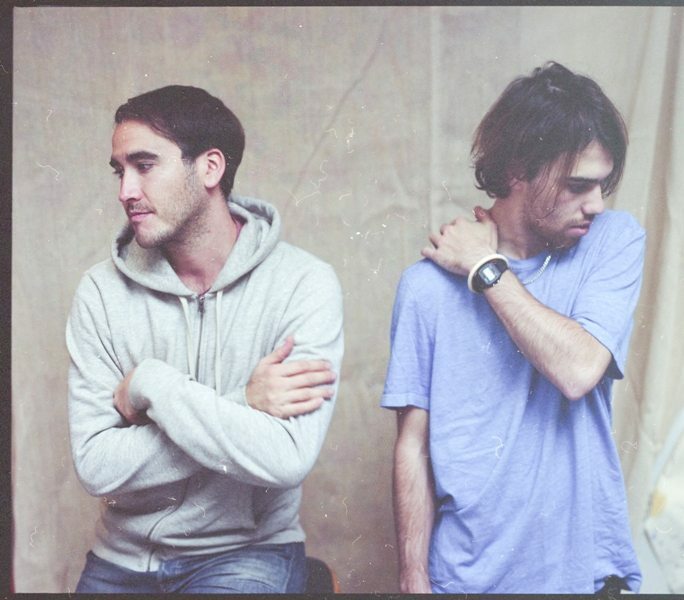 Jagwar Ma: Music is and always has been a part of my life, it’s very very difficult to narrow things down to just a few names without feeling like I’ve left someone or something out. It’s sort of like when you sit around with friends and talk about your top ten films. My top ten changes every week. I guess my opinion on direct musical influences do as well. Funnily enough I think that some of the more obvious pop references have gone unnoticed. B3SCI: How has life on the road been for the band? Has there been a particular date that sticks out to you guys as a moment you will never forget? Jagwar Ma: There are so many I lose count. I hadn’t written in my diary in a long time and when I began an entry the other day I literally started with “where do I begin?”. But playing Glastonbury was definitely an incredible experience that will go down in my life as one of best times of my life. I watched Azealia Banks and between one her songs she said “thank you so much, this is a great achievement for me..” and I knew exactly where she was coming from. B3SCI: It’s hard for us being in California to get the full scope of the booming Australian music scene. Can you shed some light? B3SCI: What are some of your favorite acts coming out of AU right now? Jagwar Ma: There are a few, but I don’t want to say, because I don’t want people to hype them up haha I feel like I’m nurturing new saplings. They need to grow on their own first, before the world discovers them! B3SCI: If you could pick anyone to be a featured vocalist on one of your tracks, who would it be and why? Jagwar Ma: Tyler the Creator. But the only catch is that he has to sing. I know that he sings on his records, but I like what he has to say, and I think his voice would really cool to capture in a really raw no pitch shifting/autotune/melodyne way. The true voice as it were..